An opulent adaptation of the Daphne du Maurier novel, Rebecca is a masterpiece of understated suspense. Alfred Hitchcock constructs an intricate psychological thriller built upon mysterious past events haunting the promise of the present. 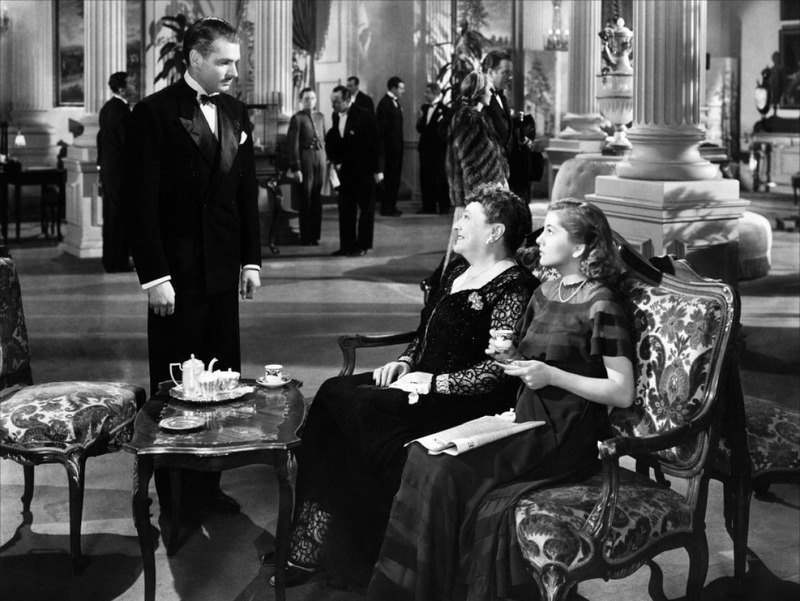 In Monte Carlo, a young and naive woman (Joan Fontaine), working as a travel companion to the insufferable Mrs. Edythe Van Hopper (Florence Bates), meets the rich but troubled Englishman Maxim de Winter (Laurence Olivier). Maxim is the master of the extravagant and expansive Manderley estate, and also a widower, having recently lost his first wife Rebecca in a boating accident. After a whirlwind few days of romance, Maxim asks the young woman to marry him, and she agrees. Now known as the Second Mrs. de Winter, the young woman arrives at Manderley to find a massive mansion, still dominated by Rebecca's personal belongings, and full of servants who remain unusually faithful to their dead former mistress. 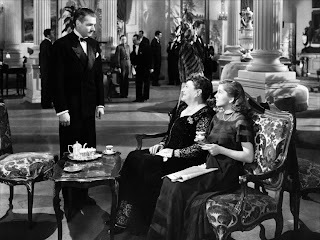 In particular, the stern housekeeper Mrs. Danvers (Judith Anderson) appears obsessed with Rebecca, and makes no secret that the Second Mrs. de Winter is not worthy of the title. Rebecca's cousin, the sleazy Jack Favell (George Sanders) makes a surreptitious appearance at Manderley, raising more questions about the past. As her dream life starts to turn into a nightmare of awkwardness and fear, the Second Mrs. de Winter learns that while Rebecca was glamorous and sophisticated, there was much more to her life and death, and the true story of Maxim's anguish is significantly more complicated that it first appeared. Rebecca was Alfred Hitchcock's first American project and his first film working with producer David O. Selznick. It is a grand production filled with larger than life people, places and events, coming together in a collision of hopes and anxiety. The story provides the perfect frame for Hitchcock to fill in exquisite touches of lurking evil. 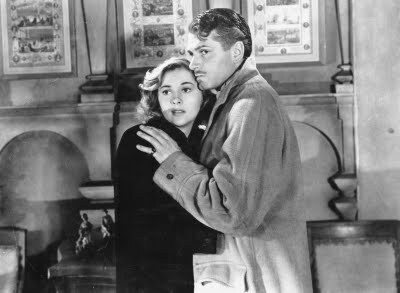 From the opening scene of a destroyed and abandoned Manderley, and working with gleaming shades and shadows of grey and black, Hitchcock fills the film with unforgettable images that collectively contribute to pure dread. Maxim resisting an invisible force encouraging him to jump to his death in Monte Carlo; a dog guarding the door to the chambers of the dead Rebecca; Mrs. Danvers appearing and disappearing with ghost-like abilities, the better to strike a chill in the soul of the overwhelmed Second Mrs. de Winter; a weather-beaten old man appearing unexpectedly out of a waterfront cabin: Rebecca is a treasure trove of ominous master strokes. Hitchcock was nominated for a Best Director Academy Award, but had to be satisfied with winning Best Film, the only time one of his movies captured that honour. Rebecca boasts three celebrated living characters, and a fourth who is dead. Maxim is the hot-tempered catalyst, but generally he is the eye of the storm, with the furious winds circulating around him. Olivier's performance becomes the foundation of the movie, but not it's most sparkling element. 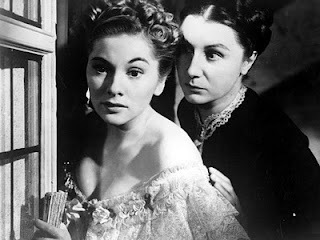 Joan Fontaine, in her breakout performance, is simply stunning. Her nameless heroine deals with love, an overwhelming new environment, hostile and mysterious people and surroundings, and an idealized image of a dead woman that is almost impossible to compete with. Fontaine finds the space where despair creeps in on aspiration, and places her performance perfectly in the arms of a turmoil that the Second Mrs. de Winter can either succumb to, or seize and convert to her advantage, should she ever find the courage. But it is Mrs. Danvers who emerges as the most unforgettable character in the movie. Judith Anderson creates an icy personification of obsessed passive aggressiveness, a stern, unblinking look on her face revealing the agitation created by continued service to a dead woman. Anderson's physical appearance is ancient and otherworldly, a woman displaced in time and space, not playing with the rules of the present, and therefore free to set her own parameters about right and wrong. Olivier, Fontaine and Anderson were all nominated for Academy Awards. The fourth and most dominant character is Rebecca herself, an invisible presence who dominates the lives of Maxim, his new wife, Mrs. Danvers, and all the hallways of Manderley. Rarely has a dead characters exerted such an omnipotent pull on a movie, but here Rebecca and her letter R are everywhere: in Maxim's thoughts, on the stationary, on the napkins, on the embroidered beddings, and in Mrs. Danvers' soul. Rebecca haunts Manderley, a mansion mistress surviving her own demise. Evicting her will require an innocent young woman without a name to vanquish a name without a woman.